Orsinium is a zone in ESO which comes with the Orsinium DLC. This can be purchased on the Crown Store for 3,000 Crowns or you can access it with an active ESO Plus subscription. Orsinium was released on November 2 for PC/Mac, November 17 for XBox and November 18 for PS4. 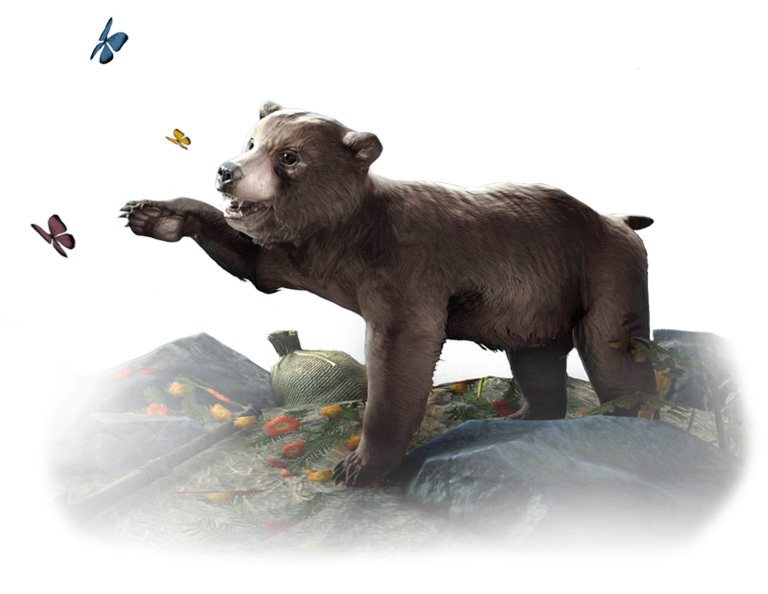 Orsinium is the largest DLC to date and includes 20 hours of storyline content, new Public Dungeons, new solo PVE areas, a new bear mount and new pets and collectibles. When you enter Wrothgar, which is the zone containing Orsinium, with the Battle Level option turned on your stats will scale upwards to be similar to an average VR15 player. This is a system put in place originally for Cyrodiil and PVP but will now also be used in the Wrothgar zone to let all players of any level to play at any time. It works pretty well and takes into account your Attributes and some of your gear to reflect your choices. There are two new Public Dungeons – Rkindaleft (Dwemer Ruin) and Old Orsinium. These Public Dungeons are large an expansive and designed for groups although they can also be completed solo. They are similar to the other Public Dungeons in the normal zones. Plunge into the crumbling, abandoned depths of Old Orsinium, the ancient first location of the Orc capital, destroyed in the First Era. Pass through the three legendary gates – Smelter, Hammer, and Temper – descend into the Caves of Dark Abundance, and locate the sacred fire of Malacath that burns deep inside the Temple of Grudgement. The Maelstrom Arena is a solo arena with nine waves on powerful enemies. The Maelstrom Arena is located in the mountains of Wrothgar and is only available to complete solo. There is both a Normal and Veteran version with rewards scaling to your level. There are new item sets which can only be granted as rewards for completing the arena and these drop in both Normal and Veteran modes. There are also unique jewellery and weapons available. The Maelstrom Arena is tied to a repeatable quest which allows you to save your progress after each wave and return to complete it later. There are four Sigils that will aid you with your battles in the arena. To use a Sigil, simply walk near it and the Synergy prompt will appear. Press your Synergy key, and the Sigil will be activated. Sigil of Power: Grants increased Weapon Damage. You qualify for the leader boards of the arena when you reach Veteran Rank 16. There are leader boards for every class, and at the end of each week the top 100 players of each class will be granted special rewards via in-game mail. To gain points on the leader boards you must play the arena. You gain points by completing the arena with bonus points for each round that you don’t die in. You also get bonus points for not using one of the Sigils above and if you complete the arena quickly (below 1 hour and 30 minutes). There are always new item sets with each DLC release and Orsinioum comes with several. There are new crafted sets, new sets which drop in the two Public Dungeons and some new Master Weapons called Maelstrom Weapons. Take a look at them all on the Orsinium Item Sets page. All raw materials in Wrothgar will look like (and drop) materials based on the peak of your aptitude in the craft they are associated with. This applies to Blacksmithing, Woodworking, Clothing, Enchanting, and Alchemy Water in Wrothgar. So this means that you can always get the crafting materials for your level in Wrothgar. Cassiterite Sand, the Raw Style Item needed to craft in the Ancient Orc Style, can be found in resource nodes all throughout Orsinium. The greater your knowledge of the Ancient Orc Style, the more likely you are to find Cassiterite Sand. Once you have ten units of Cassiterite Sand, you can refine them at any equipment-crafting bench into Cassiterite, used to make Ancient Orc items. This refining process does not bind the Cassiterite to your account. The Akaviri Style Motif is coming out at the same time as the Orsinium DLC but is sold in Cyrodiil by Siege Merchant for Alliance Points. We know of at least 10 new recipes coming in Wrothgar with 4 coming from a series of quests. The others will likely be found in Wrothgar like other recipes. 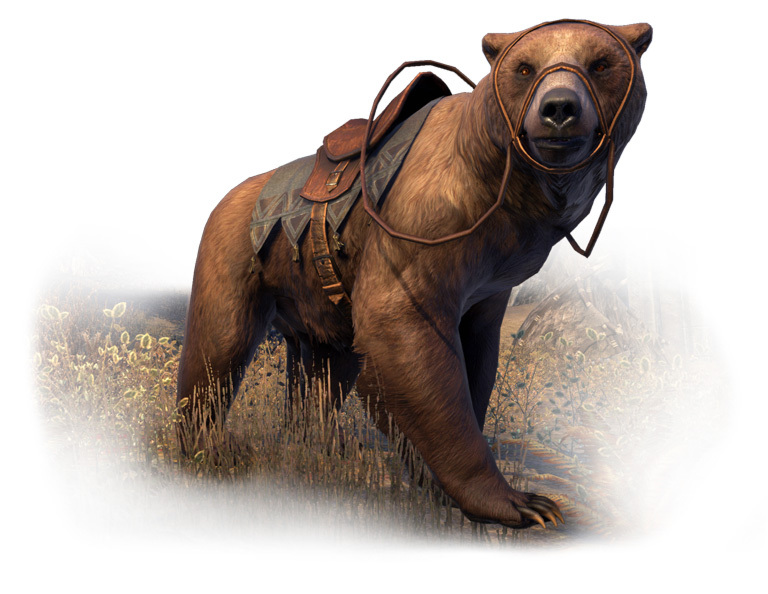 New bear mounts are coming with the Orsinium DLC as part of the Crown Store. I think it would be cool if when the next DLC comes out you guys put a barber shop in the game or something in the Crown Store where we can change our characters hair or facial hair just small features to them. That playable character in the beginning had the Undaunted armor set we saw in the concept art from Imperial City how will we get that when its not even in the game yet? Nobody wants to quest which is why you had to patch xp exploits. Everyone is bailing on ESO because PVP has become pointless and boring. Liven up PVP. I get the exact opposite response from my group of friends. The ‘people’ want pve content! Only people I know leaving are ticked the last dlc (pvp) locked endgame gear behind a pvp wall. Personally I love both so any new content is great… But alot of people have ZERO interest in pvp. No different to those who really only want to PVP finding that unless they want to repititiously grind dungeons, they canot get particular gear that is PVE locked. Nobody wants to quest? Listen let’s look at Elder Scrolls. The only reason this game has any steam to begin with was from the Elder Scrolls fan boys and girls who played Morrowwind, Daggerfall, Oblivion, Skyrim, just to name a few and I hate to break it to you, those games… SOLO PVE CONTENT. Games need to thrive in both areas PVE and PVP if a game hopes to stay afloat. The way I see it I got IC I can’t get in with out getting stomped by PVP, so the gear and materials I would like to get… I said fek it. So for you PVP geeks you have your IC for the PVE geeks, Orsinium, stop crying. Thank you for PVE dlc! I’m not into PVP. So PVE DLC is just what I needed! I am so excited for the Orsinium DLC. There are plenty of PVP areas in the game. I hope this DLC follows lore to some degree. Having this in PVE is exactly what all of my friends have wanted since the release of IC. Thank you Zenimax for this fantastic expansion. Yep loving the idea of Orsinium! As a mostly sole PVE player IC has nothing for me. I went there and tried it on my magic Sorc and found if your didn’t group up with a few people death became your friend… your death! PVP got there DLC and now PVE gets there’s = fair! Now if they would just stop trying to balance Classes for both PVE and PVP! Every time they do this it messes up one or the other and the patches keep coming. Maybe they could have different skills for when you PVP or maybe a PVP server. I don’t know the answer but WOW had the same troubles and I got tired of re-doing my toon every patch. If ESO turns into this I will have to quit like I did WOW. You can’t balance PVE and PVP together it does not work! I dunno. You could use your pve in pvp if you weren’t forced to play against vr16 players that live in pvp. The balancing helps almost nothing so leave that alone and put ppl of the same level together. Or within a few a levels of each other. There are plenty of ppl of all skill levels. Include an option to join the higher level characters at your own risk. I know I don’t even like to play pvp on anything under a vr16 character because I have to be grouped to avoid getting demolished and lately I have no interest in joining groups. I’d rather try and solo everything, problem is I almost never end up in a 1v1 with someone my level. It’s always some vr16 or a large group of ppl.